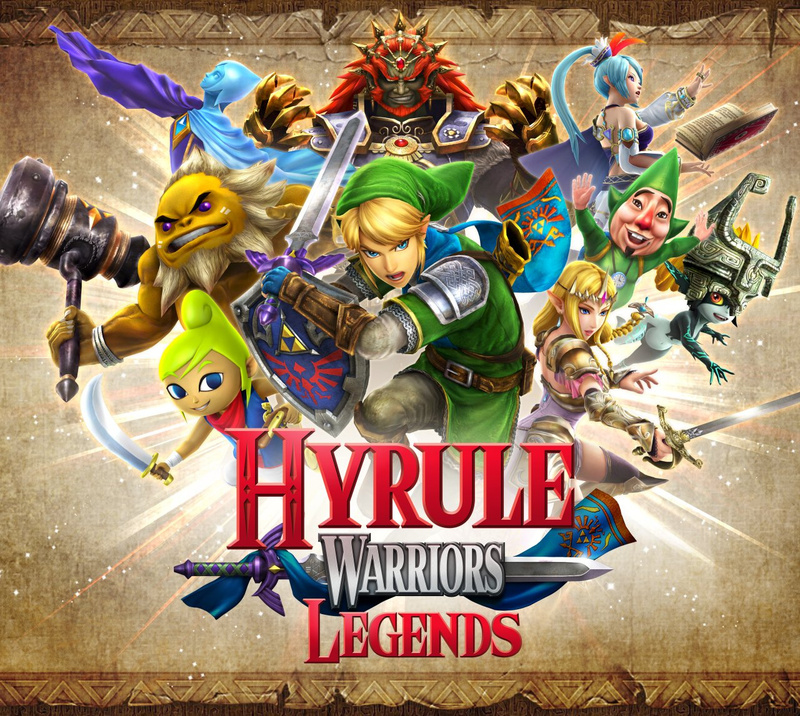 Hyrule Warriors Legends is one of a glut of 3DS titles due in the first half of 2016, a re-release of the Wii U title with new characters such as Tetra and Linkle, new scenarios in the story, extra features and an additional Adventure Mode map. It has plenty to offer, then, and Tecmo Koei has released an extended video showcase for the title that includes plenty of the new content. Some of the footage has been seen before, but there are definitely some fresh clips, including a look at the customisable fairies. I hope this new content makes it over to the Wii U version and that it's not a rip-off. I despise amiibo but you just know that a Linkle version is coming and I would not be surprised if there's a full wave of Hyrule Warriors amiibo. Well, I am hyped by this video. Awesome can't wait too check the 3DS version out and using the new characters on the Wii U version aswell. I was gonna nag about the game but then I saw gameplay of the character and what not. It's still the same, nothing that really new. can't wait for this game. I am so hyped for it. I'm glad I held out and waited. I do most of my playing on my 3DS anyways. My son uses the Wii U the most. Because you weren't paying attention! Not getting this. Hopefully this stuff can be added as DLC for the Wii U game but I am not buying an inferior version for some extra characters and never playing it on the 3DS again or never if you don't have to unlock them for the transfer. When Sony did this crap with the Vita it made sense as the vita had poor sales. This is the opposite situation. I liked Hyrule Warriors a lot. But I'm not sure if I'd be up for playing it again, even with all the new characters. Would've preferred a sequel as opposed to an expansion, but Koei loves their expansions. That's a whole lot of gameplay for what I'm assuming will be $40. Is the Season Pass included or going to be sold separetly? Hard to say either way from that video, and I can't read the Japanese at the end. For a 5 year old handheld system those graphics are pretty impressive. Maybe less going on than the Wii U, but if you don't compare the 2 and only take this game on it's own merits, that's a lot of stuff going on all at once in an open world game and it looks really good doing it. I'm impressed. This game releases on the 5 year anniversary of the 3DS in the EU. Five years, can you believe it? We are ALL getting old. This game is looking even better every trailer. I have the Wii U version, but haven't really played it much cause of Smash and Splatoon. The 3DS version is a perfect excuse to get into the game fully as I love my portable systems. I could never beat the last 2 Adventure maps so I have no problem waiting to see if the extra content makes it to Wii U via DLC later on. As it should. If I refuse to buy PS3 to PS4 remasters, this is a very similar scenario, just that it is on the same gen. Ever since Hyrule Warriors, I stop playing/buying all other "Warrior" games. The weapon ability customization was a big win from the others which is more random. Pretty much I am looking forward to this. On a sightly related note, the ad commercial before the video that show for me was quite….interesting. It was for a spray called Poo Pourri. Wish Vaati was in this, being one of the neater Zelda villains. But I guess only being in the Four Swords games (and Minish Cap) doesn't give him enough clout. That trailer has my pretty well pumped for the game and I am glad I waited to get it since the 3DS version is far cheaper and has some bonus content included in it as well. I will definitely be picking this one up. I just want a Sheikah Ninja Gaiden game... come on if they did Yaiba then Impa and Sheik can get a game.